Despite yesterday’s wave of 1080p smartphones, Ultra HD televisions and OLED wonders, we came to CES 2013 excited to check out the humble Archos TV Connnect. The Android-powered device offers to turn your “dumb” TV into a smart one and deliver video conferencing for a reasonable $129.99. It also includes access to all of Android’s apps, voice recognition, and a controller-driven user interface with a full keyboard, which is supposed to feel more like you’re using a tablet than a controller. Unfortunately, our hands-on experience did not live up to our initial expectations. CES can be a pretty awful place for Wi-Fi – there’s something about hundreds of thousands of people packed into a complex, all trying to use their wireless devices on similar radio frequencies. It just doesn’t quite work out. And while the TV connect has an Ethernet input, Archos was not set up for hard-wired Internet, so trying to open apps like YouTube and even basic email was pretty much a completely futile effort in our testing. We’re not sure if the Wi-Fi issues accounted for the Connect’s other issues, but the interface was very user-unfriendly. 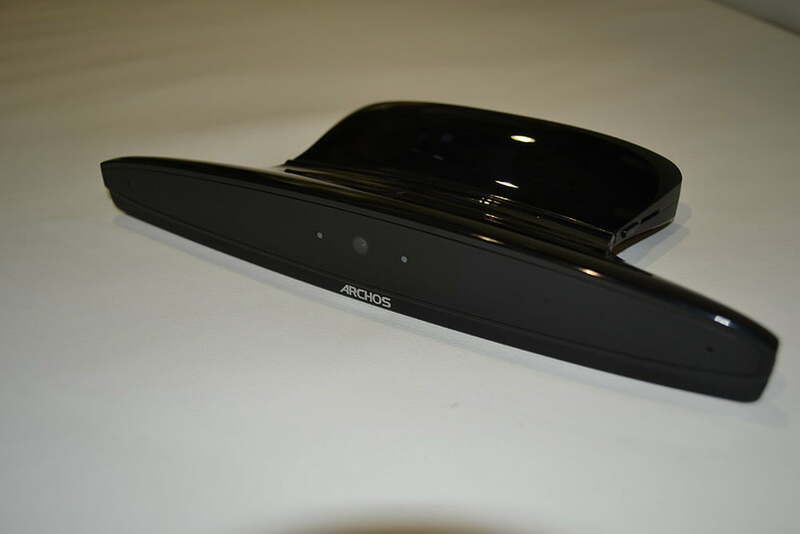 The Archos controller has a cursor that reacts to the camera in the mounted unit, but moving it felt jerky and unresponsive, as it kept sticking in the middle of the screen and reappearing far away. Hard controls didn’t fare much better. The buttons that allow you to zoom as if using fingers on a touch screen were so sensitive that while using the map, we zoomed out far into the netherworld, and had to restart the application. 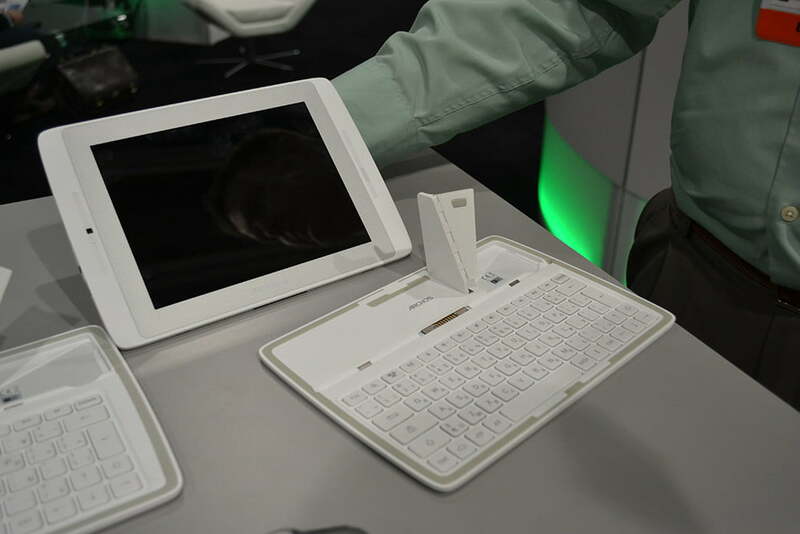 On the bright side, we had a much better experience with the wide array of tablets Archos brought to the CES. Though the 13-inch Family Pad (available in February) felt a little buggy, the Archos Platinum and Titanium series tablets were pretty sweet. The flagship of the group is the 9.7-inch Platinum. It’s fast, simple, and fairly elegant, with a thin back and an impressive 2048 x 1536 IPS capacitive screen, and a 1.2GHz quad-core CPU. We also enjoyed toying around with the semi-convertible Gen10 XS, which comes with a full QWERTY keyboard that also doubles as a magnetic cover for the device. All of Archos’ new tablets will become available in February and March. With some serious computing power behind them and access to all the goodies of Android Jelly Bean 4.1, they could be a great way to get into the tablet game without dropping half a grand on an iPad. Overall, we’re unsure if the TV Connect can deliver. Our hands-on was very anti-climatic, and we just can’t recommend the device at this stage. But Archos seems like it’s on the right track with its tablets, and the company could start gaining ground in the market if the devices can surf and game in a fully optimized setting as well as they did in our limited CES testing. For now, cross your fingers for Archos to succeed in its latest endeavors. There’s nothing like more competition in the market to drive down prices and ramp up innovation. We just hope the TV Connect can get it’s act together.